Representing people who have suffered serious injuries and the families of fatal accident victims. Providing results-oriented representation in cases involving discrimination claims, sexual harassment, workplace retaliation wrongful termination and other employment law violations. Obtaining justice and compensation for victims of civil rights violations, including housing discrimination, denial of public accommodations, police misconduct and other civil rights violations. Representing individuals and businesses in lawsuits involving contract disputes, landlord/tenant disputes, evictions, unfair trade claims, legal malpractice and other disputes. We also represent clients in appellate cases in state and federal courts in Connecticut. When you retain our firm, Attorney Robert J. Kor will investigate the circumstances surrounding your case. He will collect facts, interview witnesses, and work diligently to build a strong and successful case for you. As the legal process moves forward, Mr. Kor will keep you informed of important developments. When you call with questions and concerns, Attorney Robert J. Kor will respond promptly. You will have confidence knowing that an experienced and determined advocate is working hard to achieve your goals. Law Office of Robert J. Kor represents clients throughout Connecticut, including Fairfield County, Hartford County, Litchfield County, Middlesex County, Tolland County, and the communities of Hartford, West Hartford, Avon, Farmington, Glastonbury, Simsbury, New Britain, Middletown, Waterbury, New Haven, Bristol, Enfield, Danbury, Bridgeport, Litchfield, New London and Stamford. To schedule a consultation, call 860-521-2806 or use the form below to contact us online. Our firm offers free initial consultations in personal injury cases. We charge a reasonable fee for consultations in other matters. For more than 30 years, Robert J. Kor has provided compassionate counsel and vigorous advocacy to people in Connecticut. During that time, Mr. Kor has earned a reputation as a skilled trial advocate in matters involving employment law, civil rights violations, personal injury, civil litigation and appeals. Robert J. Kor has several reported cases in the area of civil rights. Whatever the nature of your case, you can depend on Robert J. Kor for skillful representation designed to protect your rights and achieve your goals. Robert Kor is a lifelong resident of West Hartford and has a long history of community service. Following law school, he became a VISTA volunteer assigned to Neighborhood Legal Services (NLS) in Hartford, CT, where he remained as a staff attorney and general counsel for the next twenty years. 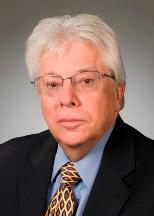 Bob serves as a Fact-Finder/Arbitrator/Attorney Trial Referee for the Judicial District of Hartford (1983-Present). He has previously served on the Statewide Grievance Committee (1996-2003) and has been a Small Claims Court Commissioner (1981-1994). Attorney Kor has previously been elected to the Board of Directors of the Hartford County Bar Association, the Board of Governors of the Connecticut Bar Association (CBA), and the CBA’s House of Delegates. Attorney Kor has served on West Hartford’s Advisory Council for Housing Matters and the West Hartford Fair Rent Commission. He is presently on the Board of Directors of West Hartford Rotary. As the child of Holocaust victims, Bob understands what it means to be attacked and persecuted solely because of one’s religious beliefs and practices. As a member of the Anti-Defamation League of Connecticut, he served on the ADL’s Hate Crimes subcommittee and presently serves on its Civil Rights Committee. Bob and his wife, a Family Law attorney, live and practice law in West Hartford. They have three adult children, four grandchildren, a dog and a cat. 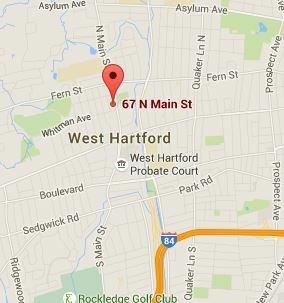 Directions: Our offices are located in West Hartford, just minutes from exit 41 of I-84. Free parking is available. *** The use of the Internet or this form for communication with the firm or any individual member of the firm does not establish an attorney-client relationship. Confidential or time-sensitive information should not be sent through this form. © Copyright 2015 - 2019 Attorney Robert J. Kor All rights reserved.